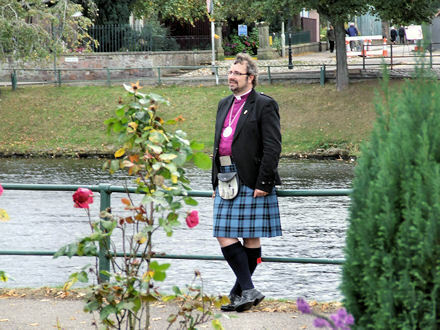 On Friday evening Jane and I drove the 160 miles north to Inverness in preparation for Mark Strange’s ordination as Bishop of the United Diocese of Moray, Ross and Caithness on Saturday morning. That service, was without doubt the most joyful ordination service I’ve ever attended: what a celebration! And the most joyful and healing service that I’ve experienced at the Cathedral Church of St Andrew, Inverness, where I served a long and at times difficult curacy. I’m not ashamed to say that I cried through the service, and I know from speaking with others afterwards that I wasn’t the only one. I’m so delighted that Mark was elected and ordained as bishop of Moray, Ross and Caithness. What hope, what potential now for such a beautiful diocese. And I suspect that I’m not the only one. After Fr Mark was ordained bishop the cathedral erupted in rapturous cheering — not just polite applause, but cheering and whistling. It was a roar, like the rushing of the Holy Spirit! Fr David Campbell summed it up perfectly in his sermon when he said “Mark we love you! Even the people here who don’t know you yet love you!” And he was right, you could feel the love in the room! David’s sermon I’m sure ruffled a few feathers too. It was at times both inspiring and deeply uncomfortable. Which sounds like as good a definition of “prophetic” as you could hope for, at least in this blog post. He had me in tears, both from laughter and joy. 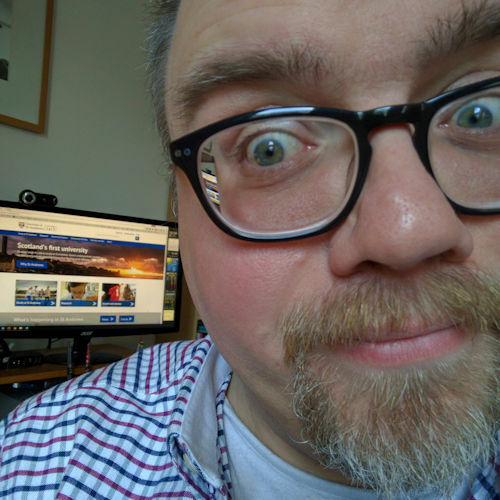 (You can read David’s account of the day on his blog post: 8 minutes. I’m 6′ 4″ (193.04 cm). At least, it would have been quietly had the trumpet fanfare not just silenced completely. I winked at him on the way back up the aisle at the end of the service. And not a subtle wink either. It made us both laugh. Laughter is good in church. Even at funerals, so Fr David reminded us in his sermon. It was nice to be in the ‘clergy enclosure’ during the service. I was sitting between a lovely former Royal Navy chaplain and the Provincial Ministry Development Officer, Fr Michael Fuller. I felt like I belonged again. As the final communion hymn finished, I leaned forward to speak with David Campbell. “Are the yoooouth going to sing now?” I enquired. “Yes,” he replied. “Kum ba ya,” he lied. “My favourite!” I lied back. Members of the Provincial Youth Network came up after the communion to sing a couple of songs of praise. It was an absolute delight to see so many young people in the cathedral, and to hear the clapping and singing along to their act of worship. The service ended with the incredibly lovely Fr Mel Langille leading the procession back up the central aisle to a specially composed tune for the Highland Bagpipes ‘Do lÃ mh, a Chriosta – – Your hand, O Christ’. We drove home via Elgin (as you do), as I volunteered to take a couple of the youth leaders to the ceilidh in Holy Trinity’s church hall. It was lovely to catch up with folks before we drove back to Anstruther via Aberdeen. Praise God! What a wonderful day. Please do continue to pray for Bishop Mark and his family, and for the diocese.